When you inspect this year's Halloween haul, make sure that you watch out for these sugary little monsters. This candy can be extremely bad for your health. Artist Andrew Bell sculpts these Halloween-themed horrors. 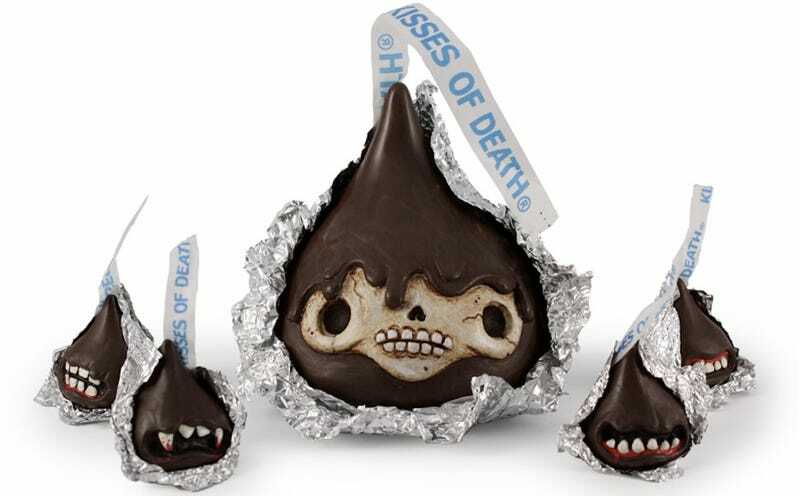 His chocolate Kisses of Death and green tea Kill Kat bars are currently on display at the Bewitching III show at Stranger Gallery in Albuquerque. And processed sweets aren't the only subjects of Bell's monstrous sculpture. His online gallery is filled with sake spirits, devilish apples, and a tofu-serving monster straight out of a vegetarian nightmare.